Scott Hallsworth, the culinary legend behind Nobu, is back with a dazzling new restaurant in London’s West End. With the menu centred around sharing plates, it’s only natural that the restaurant’s interior should reflect this community feel. The long tables create an informal atmosphere and a distinctly ‘market’ feel with groups of people mixing and matching different plates of delicious grub. 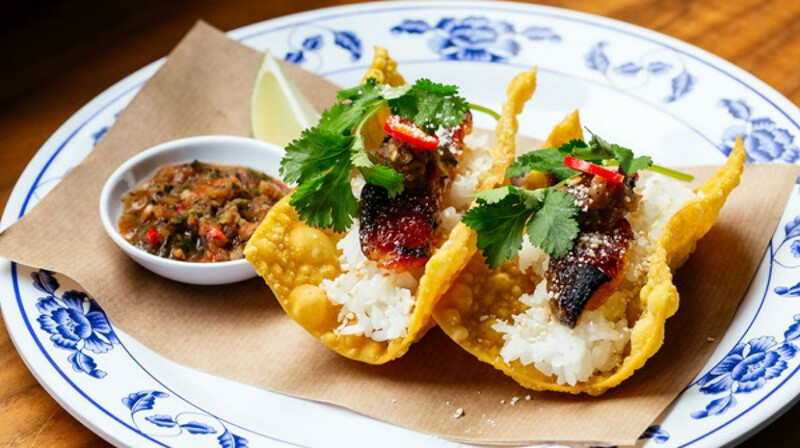 Specialising in sharing plates from all around Asia, Freak Scene captures the very best Asian flavours and gives them an unexpected twist. Loch Duart Salmon Sashimi Pizza? 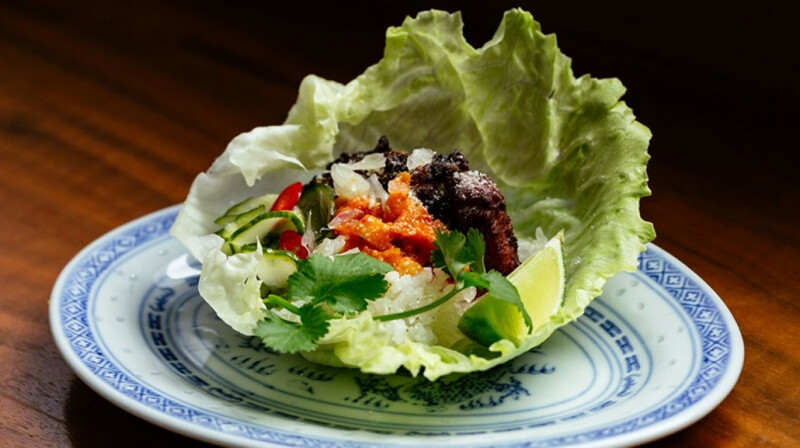 Yes, that’s on the menu along with other exquisite fish dishes and a range of plates that combine bold flavours guaranteed to get your taste buds tingling. There is a small but carefully considered drinks menu, chosen especially to compliment your food. The majority of wines on offer originate from Australia, New Zealand or South Africa and there are perfectly blended cocktails to suit any taste. And what is a Japanese dish without Sake? 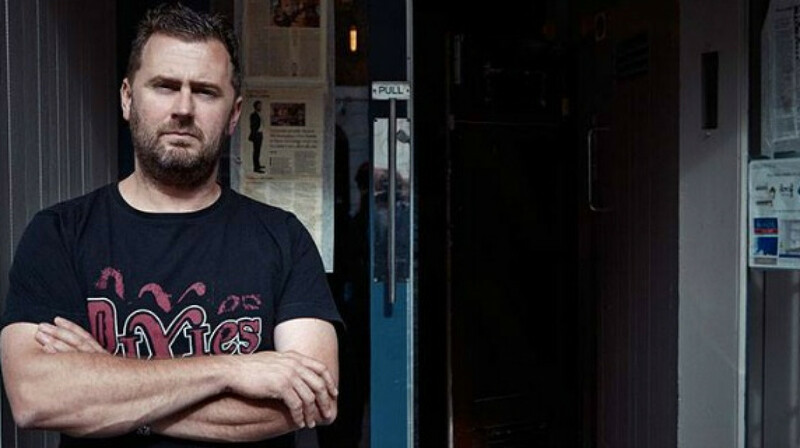 With two on offer, it’s a full cultural experience at Freak Scene. 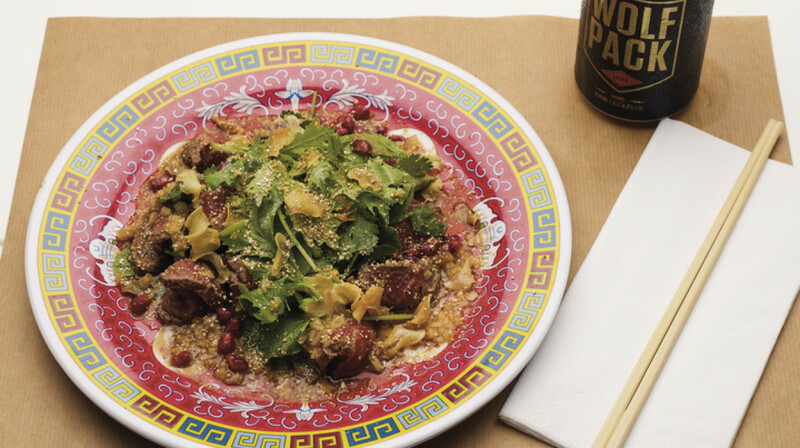 So, step into this slice of Asia in central London. You’d better like sharing your food! Delicious food and friendly staff! Would go again! Freak Scene... delish! Miso grilled aubgergine, chicken fried chicken, and chilli crab & avocado wonton bombs were all a highlight. They recommend 7 things each, we had 6 and were completely full! You are seated along a bar, so not ideal for big groups, but you will be too busy eating and talking about eating it won’t matter. Hi Freak Scene, We had a great time, The restaurant was really full and the atmosphere was great for early dinner time. We thought the place would be empty but it was really buzzing. The food was great and i really enjoyed the Grilled Cabbage which had some earthy flavours having been on the grill. The aubergine which was cooked really well and served with sweet sauce and nuts. It could have been a dessert as it reminded us of the texture of apple crumble. 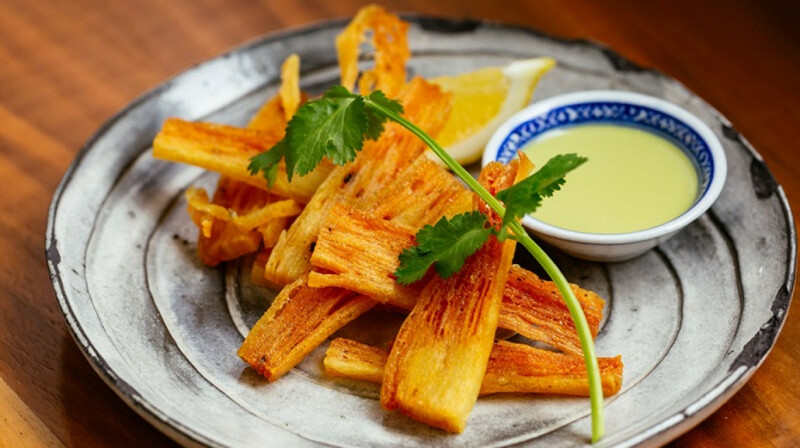 It wasn't too sickly sweet as so many miso aubergine dishes in London can be. We really enjoyed the mushrooms which were a large portion of japanese mushrooms served in tin foil cooked in a nice silky sauce. We will be back with friends for a late evening dinner soon! We had a great meal - I particularly enjoyed the beef tataki and fried chicken. The service was attentive and friendly. Highly recommended. Great atmosphere and food. In particular we loved the grilled cabbage, mushrooms and nasu dengaku. Portions are quite small, so you do need to order a little more than you think. From the moment we walked in, the staff were attentive, talked us through the menu, recommended beers and food selections for our tastes, and were super friendly. Make sure you have the beef tataki and the pointed cabbage! Will definitely go back. Everything I hoped for, and more. No shortage of substance to match the style. 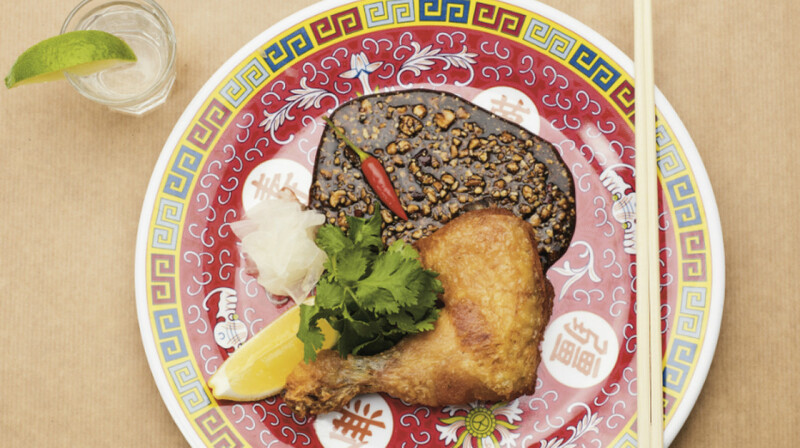 Food is punchy, interesting and generously portioned. Genuinely looking forward to going back. It's a trendy place where diners sit at the bar and food served to you. It's a bit difficult to go as a group of more than 3 given the sitting arrangement. They were accommodating and sat us at the corner of the bar table where 4 of us can interact easier. It was quite a busy Thurday evening, and food can came out quite slow. The food was a fantastic fusion of oriental and mexican/south American. The food was flavorsome and exciting. Most servings were reasonably sized for sharing. However, the miso glazed aubergine was rather small, only 6 small squares for the price. Amazing restaurant, wonderful concept, friendly knowledgeable staff, definitely worth a visit! Great food amazing service. Would return. Absolutely amazingly delicious food! Though I would only recommend this restaurant for small groups up to 4 maximum because of the way the restaurant is laid out. Great place. Cool vibes. Yummy food. The crab and avocado won ton bombs and the black cod tacos were amazing! The food was great! We were lucky enough to have met the chef, him and his staff were super nice and friendly. It was all superb! My friend and I attended Freak Scene after work and had a wonderful time. The service was fantastic they made me feel right at home whilst I waited for my friend to arrive. The chefs had some great suggestions for food and cocktails. 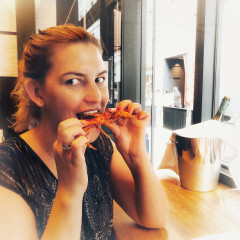 The food was simply amazing, lots of flavours, tapas is my favourite way to eat, you get to try a bit of everything. Also great location. I highly recommend. We were the first in the restaurant, but after a short period of time it was buzzing and the atmosphere was great. The food was great! We tried a mix of things and all were delish. Our favourite was the black cod tacos. I would definitely come back here. Delicious food, good service - will definitely be back! Great food and service, good interaction with the chefs and staff!! We had a wonderful dinner, really great place with delicious meals and the bar seating made it fun. Fantastic all round. Personally I love the sharing style and bar seating arrangement so I can see the chefs at work. All the food was great, all the staff were friendly and the manager was super efficient and on top of everything. Order the artichoke chopsticks for sure!!! Food was great and service was very attentive and friendly! 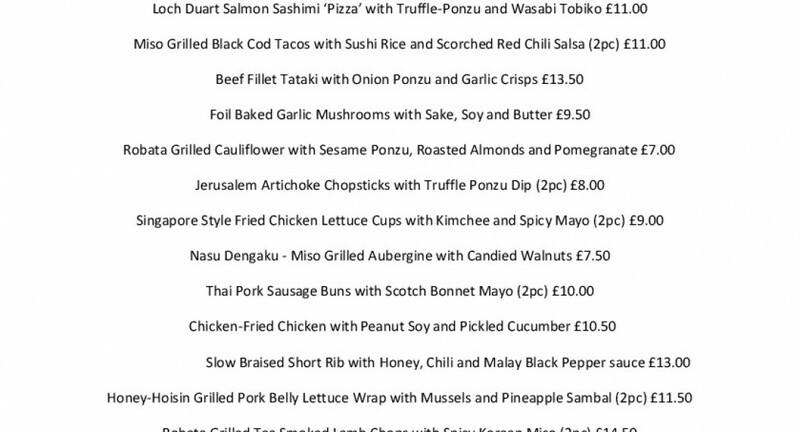 Our favourites were the cod fish tacos, miso aubergine and the chicken fried chicken! 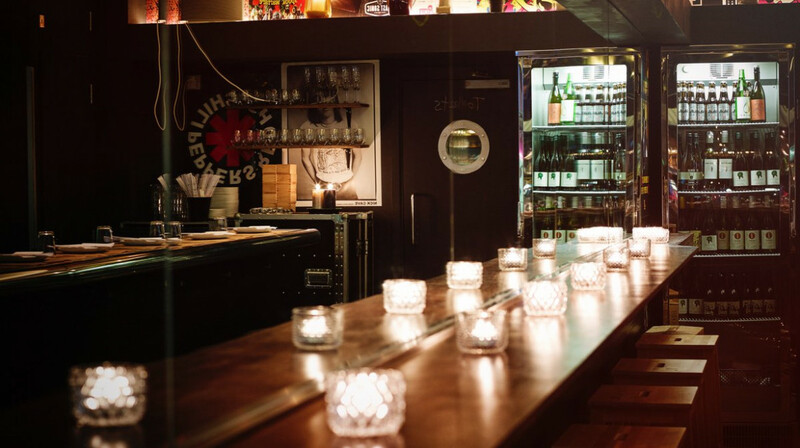 Its the perfect place for a catch up with friends over great food and creative drinks. Absolutely cracking meal. We honestly felt like robbers with the savings provided by booking through First Table! We were greeted immediately, sat down and received good attentive service for our whole meal. The food itself was excellent, star dish was the 'Chicken Fried Chicken'. I was also really impressed with the vegetarian dishes on offer- the cauliflower was stellar! 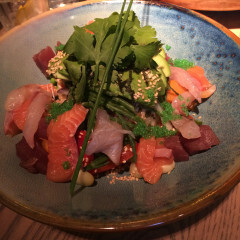 Everything was beautifully cooked, it really reminded me of our recent trip to Japan! I personally don't drink alcohol, but my husband was very happy with the beer offerings. 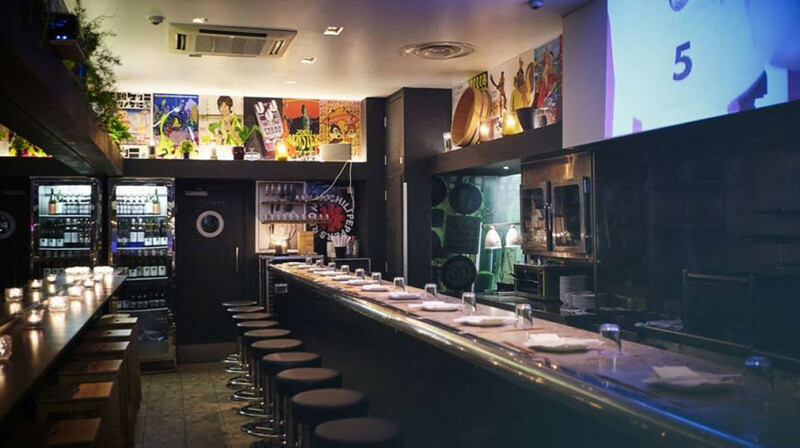 Really cool little place, with fun, engaging staff, a gorgeous cocktail menu and a really exciting sounding menu of small sharer plates. We ordered a selection based on recommendations from our waiter and the fact that one of us is gluten free. 3/7 dishes were amazing! 3/7 really good. 1/7 not so good. Overall a fab experience, can’t wait to go back! I wasn’t overly enthused by either of the bun dishes to be honest and the mayo was too hot for me to take advantage of it which is probably necessary for the dishes to really work. The beef and cauliflower were the real highlights for me and would definitely order them again. They are currently on @firsttableuk with early sittings 50% off so I would definitely recommend taking advantage with a discount that big. It means over ordering is a bargain! Delicious food! An array of flavours and textures that all worked amazingly together. The aubergine was our favourite, it was the perfect amount of sweet and salty with a bit of crunch to offset the smoothness of the uabergine itself. Thanks for a great night, we will definitely be back! We really enjoyed the concept of this restaurant with small sharing meals. Being vegetarians we had plenty of options to choose from which was great. The miso grilled aubergine was the stand out dish for us. Service was personal and attentive, they knew the menu expertly. 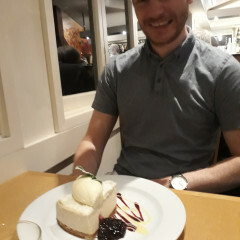 Would have been nice to have a bit more time for dessert as we had to go to a show...I'd recommend it for guests with time to enjoy the relaxed nature of the service (food comes out in stages). Definitely recommend to others! 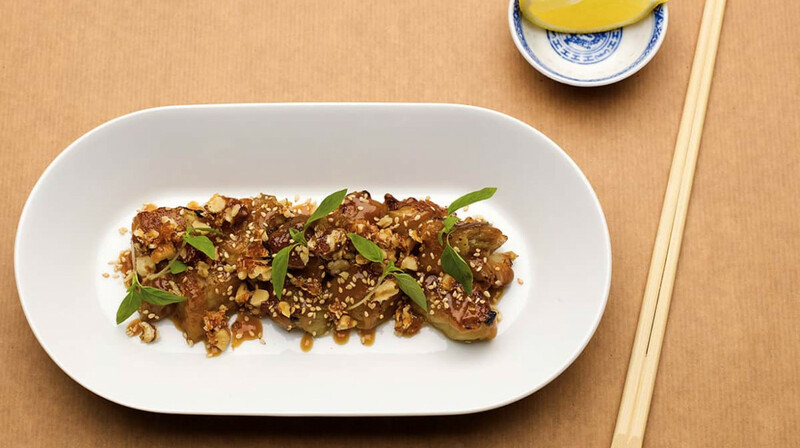 This hip Soho joint has an Asian-inspired menu that reads like a dream but leaves the taste buds a little underwhelmed. Nothing was horrible or inedible but there was just nothing Asian about it, just confusion. In fact many of the dishes could’ve passed for Tex Mex. Too many deep fried crispy cracker-themed dishes and sauces need more perfecting (cold puréed kimchi with some cheese sauce palmed off as kimcheese and jalapeño sauce could be more mayo-like), and the Hainanese chicken needed a less is more approach with the overpowering peanut and soy sticky sauce. The sake butter foil baked mushrooms however were drop dead gorgeous (if a little heavy handed with the butter). And if there were udon noodles it would taste even better! 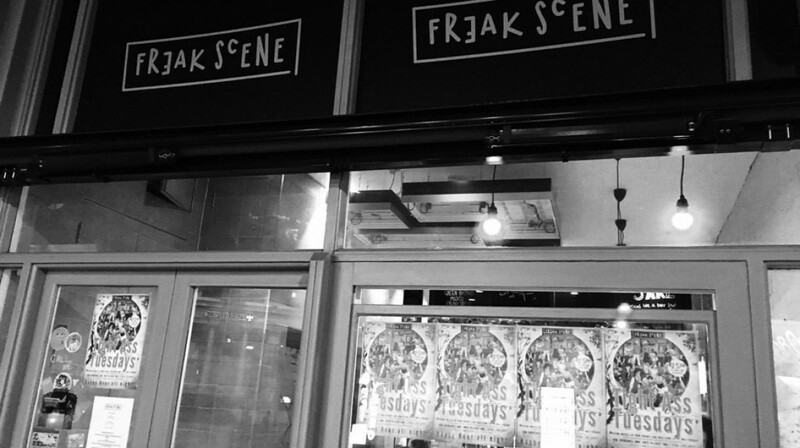 Freak Scene is not your standard restaurant, you probably guessed this from the name. The walls are decorated with a variety of unobtrusive memorabilia. Which gives the place a relaxed and comfortable feel alongside the seating around the kitchen/bar. This would be a great choice for a date. The food is all intented to be shared, and was incredible! We ordered three dishes at a time and between the two of us we had 9 dishes, each and everyone got us saying "omg this is goooood"
The crab and avocado wontons, the beef tataki, the black cod tacos and the short rib are must haves! Though everything was so good that I'm planning to have everything I didn't manage to try this time. If you like the look of the menu this restaurant is a must visit! Also a big thank you to first table (special mention to Elliott Hannam) for helping with a little issue which was 100% my fault. Some of the best customer service I've ever received! Friendly and helpful staff, really enjoyed the atmosphere. My partner and I were overheard discussing a side dish we were unsure of by a chef who promptly served us a complimentary taster and explained what the dish was, nice touch!